The wheel has turned, and it has turned for the better. All it needed was a Royal Decree from Custodian of the Two Holy Mosques King Salman last week to start off the celebration and ignite a series of optimistic debates on the domino effect this far-reaching order would trigger. The Royal Order on allowing women to drive was a decision euphorically welcomed by all sections of the society — especially women. The naysayers, who had played the culture and tradition card in their efforts in being obstructionists, were stemmed in their strides by the immediate backing by the General Secretariat of Senior Scholars Council, which commended the royal order to issue driving licenses to women. The Council also pointed out the majority of its members said that religious ruling allows women’s driving and there is nothing that prevents them from driving in the light of religious and regulatory guarantees. The decision will both positively affect the country at the social and economic levels. Deep inside I knew that the decision was likely to come but the question was when. And when it did come, it came as a pleasant surprise and simultaneously put an end to one of the longest debates we have ever had. Finally, the debate on women driving is behind us once and for all with our King’s swift and decisive decision. According to reports, “The Royal Order will come into force from Shawwal 10, 1439, corresponding to June 24, 2018. The King directed Minister of Interior Prince Abdul Aziz Bin Saud Bin Naif to constitute a high-level ministerial committee to carry out studies about the necessary arrangements to implement the Royal Decree. The King also referred to the negative consequences of not allowing women to drive, and the positive aspects of allowing them to do so, taking into consideration the application of the necessary Shariah regulations. The King stated, “There won’t be any leniency in taking all the required measures to maintain the security and safety of society,” while instructing the minister of interior to implement the rules of the traffic law and its executive bylaw, including allowing men and women alike to drive. The so-called women activists cannot in any way take credit for this decision as, in my opinion, they did more damage to the cause than good. At times when decision makers in the government were mulling the decision and gradually planning the infrastructure for this, these so-called activists were seen as only defying the rules of the Interior Ministry and creating unnecessary damage. They, with their actions, were also instigating the West on this issue, and thus putting a roadblock in the decision that could have been in their favor earlier. In this, a good number of women agree to the so-called activists speed breaks. I remember writing an article in the May of 2013 titled “Will society allow women to drive?” In it I said, “Saudi society is divided on many mundane issues, including teaching English at the elementary level (a necessity of the times), changing the weekend to Friday and Saturday instead of Thursday and Friday (in line with global necessity), girls’ sports in school (a healthy option for society) and many others. So why should the issue of women driving be any different? Time has changed and those who objected to women driving should now accept the new reality and deal with it. Those who are objecting to women driving are in the habit of objecting to anything new, even if it is something positive in our society. Those who objected to this for whatever reasons, should know that work would not be delayed anymore. Now a father will not be able to excuse himself from work to go and pick up his kids, the mother can drive her kids from and to school. Those who object should understand what a single mother or a widow feels like when she is helpless trying to find a driver to take her kids to school or run personal errands. Women driving will for sure save a lot of money, especially for middle-income people. Saving the salary of the driver means a lot to the middle-income family. Those who object to this saying serious social problem will erupt in the form of harassment, should understand that tough laws are being formed and it will not only stop harassment, but will stop people even thinking about it. Economists have agreed that this will help save an estimated over SR20 billion annually, for this is the amount that forms the money transfer abroad from 1.38 million drivers. It will ultimately save the amount of recruitment, which in the eyes of middle-income families, is a huge amount. In my opinion, not many families will drive at first as many will wait and see how things go when they start. But for sure 50 percent of family drivers will leave the Kingdom. I, along with many citizens, view this step of allowing women to drive as a step forward to empower women. It will override the difficulty in transportation that has proven to be a major obstacle for workingwomen. And the decree is a step toward realizing the Vision 2030 that promotes equality and justice. Last but not least, no one is going to ask me again, why women in Saudi Arabia are not driving. Thank God that this question is out of the way along with the question whether I have an oil well in the backyard of my tent. This article was first published in the Saudi Gazette on October 02, 2017. 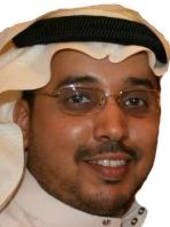 Mahmoud Ahmad is Managing Editor of Saudi Gazette for Local and Gulf Affairs. He can be reached at mahmad@saudigazette.com.sa and his Twitter handle is @anajeddawi_eng.